This post has since been updated with a new PPT which you can view and download here, free. We're right in the thick of our unit on comparative adjectives in my grade 6 classes and I am doing anything I can to spice things up. Our main vocabulary is "heavier, faster, taller, stronger, bigger and longer" but we've also taught them "older, younger, shorter, slower, lighter, smaller and prettier , more beautiful, more..."
Anyway, for the first lesson we had a blast looking at funny PowerPoint slides featuring the student's faces - for the free PPT download click here. 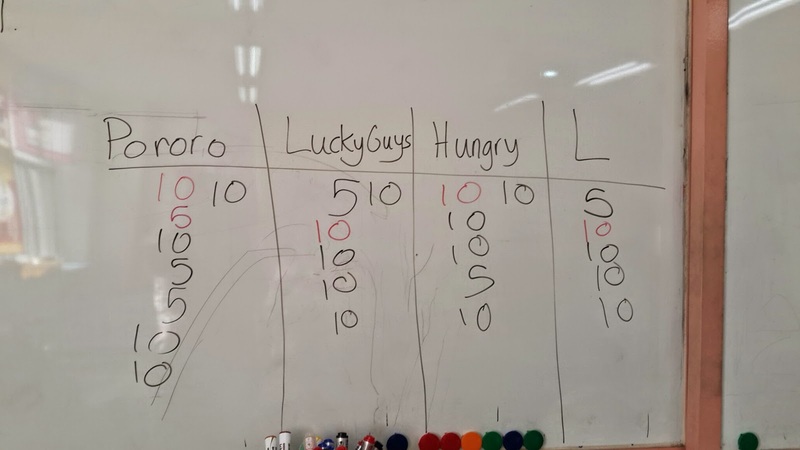 For our latest lesson I decided to do a quiz show style game. It worked unbelievably well. 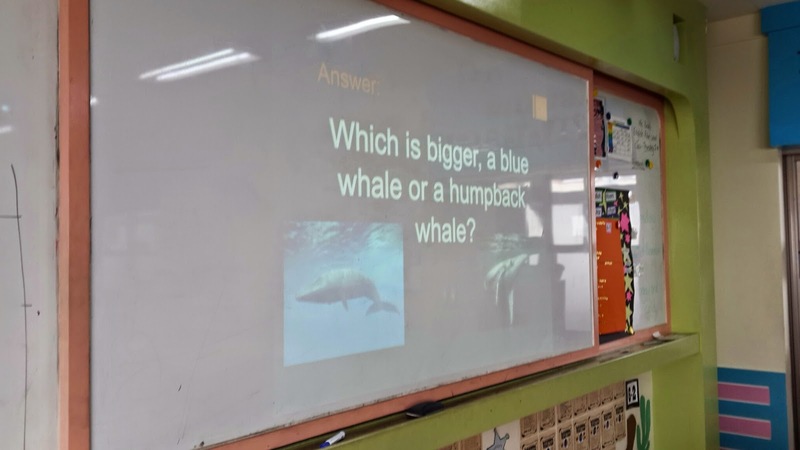 I was able to put in some general knowledge questions that they kids were challenged by, and the kids were able to understand because they knew the key words within the questions. It was a great lesson of comprehension and went swimmingly. NOT ONCE did I need to have the quiz questions translated! 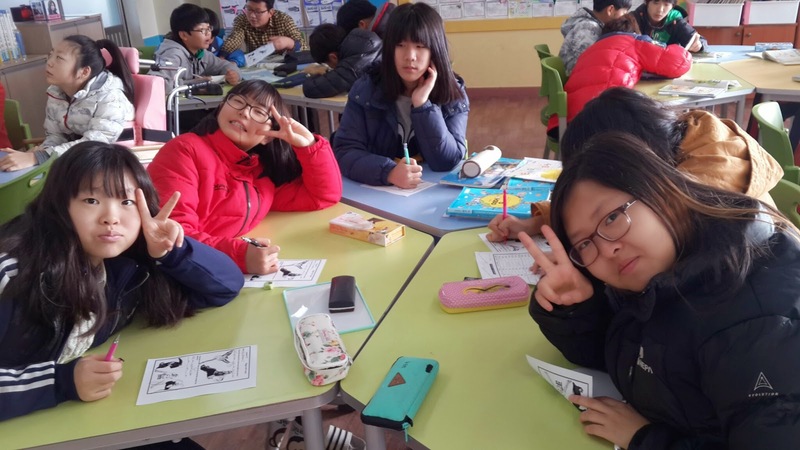 I think the quiz was a great way to have a cross-curricular lesson that tested not only English but a bit of social studies. I created the PPT and my system was simple , I had 2 styles of questions - "Group Questions" or "Single Questions" , the 'Group Questions' were worth 10 points , the Single ones - 5 points. I also separated the class into 4 groups (of course you can have more than 4 or less). I also got the groups to name their groups , English names of course. When a "Single Question" slide came up the students were told to have one member from their group come to the front. In the front on a desk I had 4 buzzers. 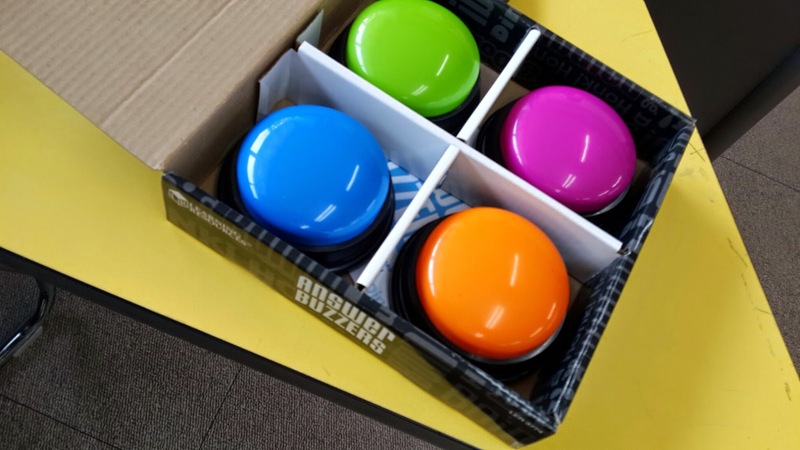 My co-teacher ordered the buzzers last year, they are so cool! They are battery operated and make 4 different sounds - a honk, a boing, a bell and crash. 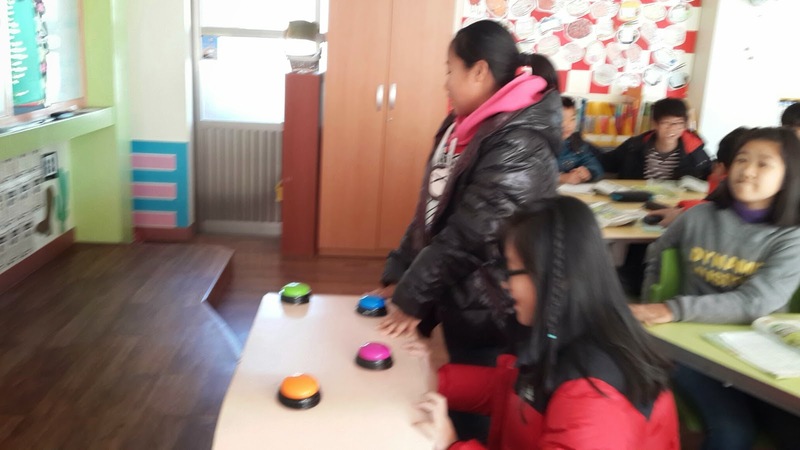 You can always skip the buzzers, use desk bells, or make your own - or just get the students to put their hands up fast. Next, I have the question up on the projector, the first to buzz and answer correctly wins. I was pretty picky, they can't take too long or miss any words of the sentence, if so, the next person who buzzes gets to answer. Now - Group Questions - these are worth more. 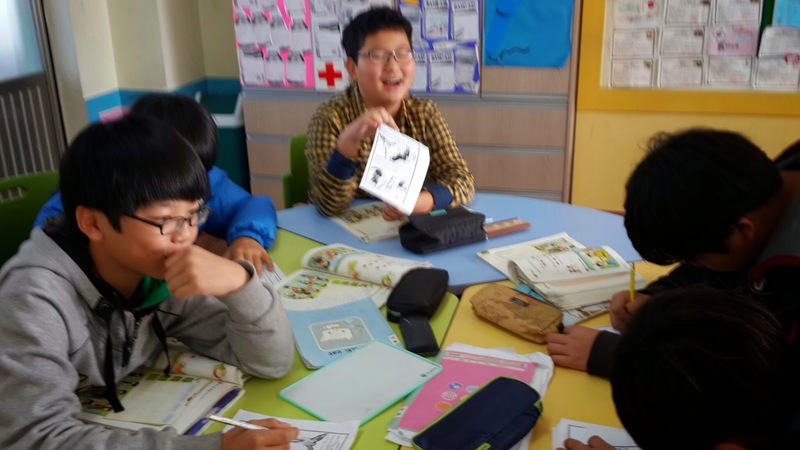 I gave each group a mini white board, a marker and an eraser. 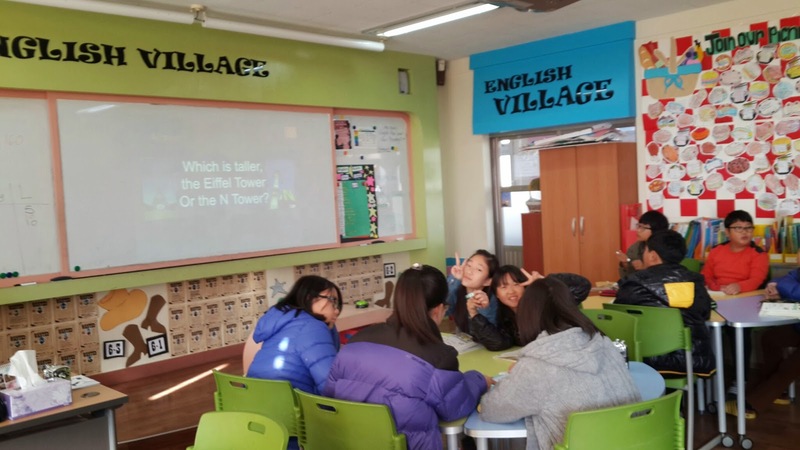 They were to answer as a group and write the answer on their white board. It wasn't a first to finish scenario. I just awarded points to any team who got the answer correct once it was revealed. So every team can get a chance at winning, no matter how slow they are to write/think. You'll see the answer isn't straightforward, I get them to read and try to understand - again, no translation was needed! 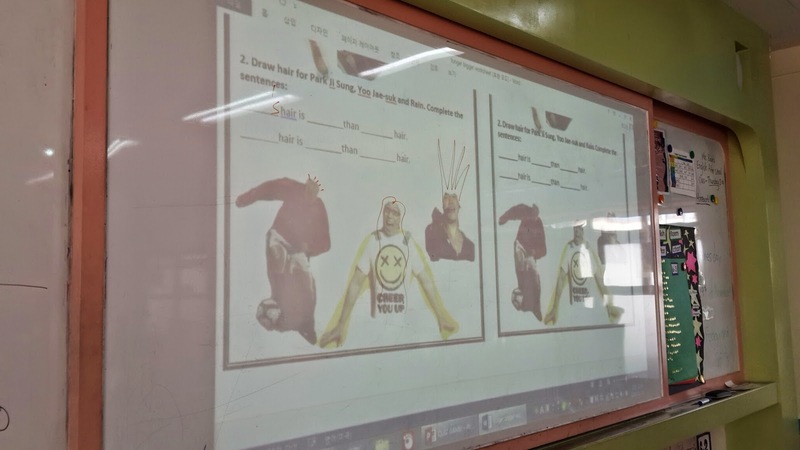 After showing the answer I also ask them to make the sentence. E.g. for the slide above they would say "Park Ji Sung is older than Kim Yuna." You can even give out extra points for those who volunteer to do this. 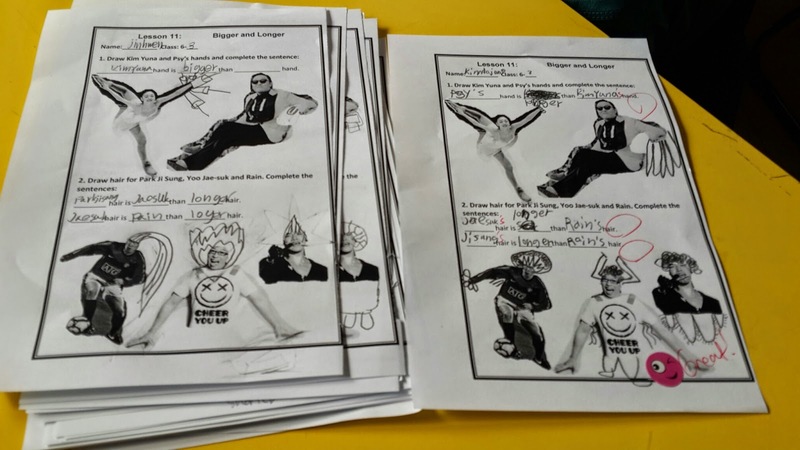 They had a lot of fun drawing the hair and hands and got good practice with the vocab. 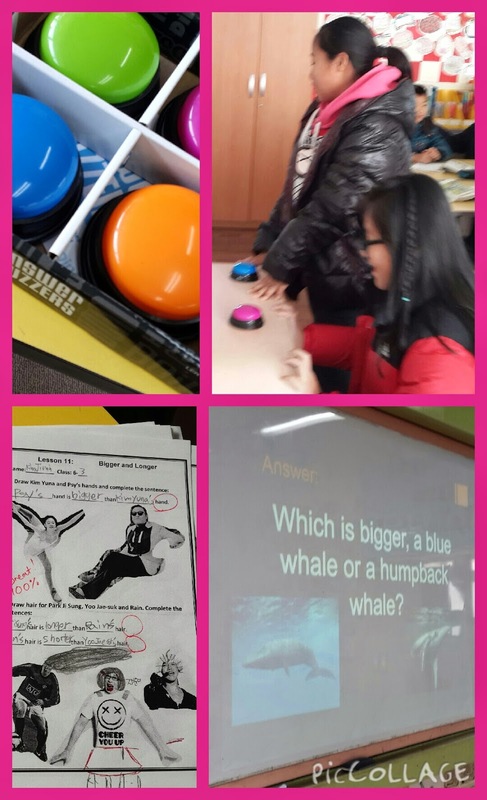 Hope you can make use of the worksheet and quiz game! Thank you for the materials! Just a heads up, the worksheet download link links to the PPT. Thanks, I need to find that worksheet again lol. was last year... will get on that!